I’m going to post this with as little commentary as possible, for the video really truly does speak for itself. What you have at the bottom of this post, dear Geeks of Doom readers, is Matt Smith‘s monologue from the Doctor Who episode, The Pandorica Opens. It is performed by a young kindergartener. Yes, you read that correctly. This little dude has better control of memorizing the lines from Doctor Who than I do, and he does it very well. 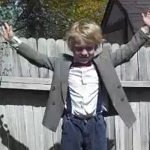 And for bonus points, he’s dressed up in costume as the Eleventh Doctor as well – complete with bow tie! Believe me, you’ll want to share this one with your friends who are fellow Doctor Who fans. It’s Doctor Who Week of Geek here at Geeks of Doom, where we’re counting down to the launch of Doctor Who Series 6! 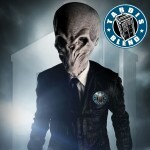 Joining us for our preview of Series 6 episode of the TARDISblend is Andy Sorcini aka MrBabyMan, co-host of The Drill Down. We kick off the show speculating on what can be expected in the opening episode of the season, The Impossible Astronaut, directed by Toby Haynes and written by showrunner Steven Moffat. The first episode is part one of a two-part adventure, which concludes in episode 2 entitled Day of the Moon. 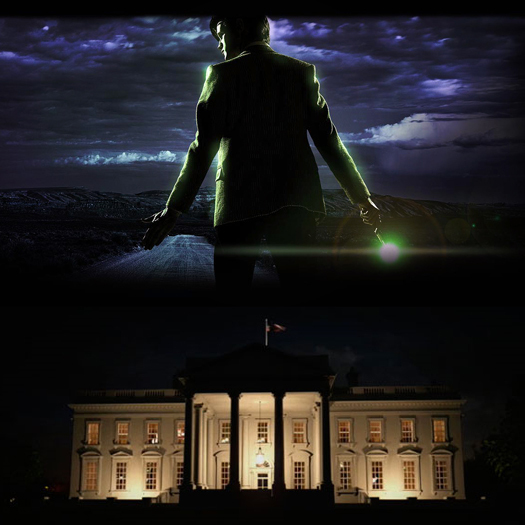 The adventure sees Matt Smith‘s Eleventh Doctor facing new villains The Silents, who are tied into the “Silence/Silents Will Fall” meme from last season. It also sees the return of Alex Kingston as River Song, and of course Karen Gillan and Arthur Darvill reprising their companion roles as Amy Pond and Rory Williams respectively. We also discuss how much attention the new season is getting, and the amazing promotion BBC and BBC America are pushing behind the show. The level of anticipation among fans is at an all-time high. Additionally, we talk of new fans coming to the show, and debate what Classic Doctor Who episodes they should consider checking out. We run through the episode list for the season, and also briefly touch on Torchwood: Miracle Day. All this and more on the latest TARDISblend! It’s less than two weeks until Series 6 of Doctor Who kicks off worldwide on television screens, and it’s getting to be a very exciting time to be a fan of the Time Lord. BBC and BBC America have released a whole bunch of new photos from the new season — including a sneak peak of the new creepy villain the Doctor will be facing in the opening two episodes, The Impossible Astronaut and Day of the Moon. On top of that, new photos released by the BBC to media outlets give fans more previews of upcoming shows, including the “pirate” episode Curse of the Black Spot, the Neil Gaiman-penned The Doctor’s Wife, and confirmation (finally!) of the return of a classic villain. You can view the images at the bottom of this post. Bear in mind, the photos (as well as the rest of the content of this post) could be considered spoilers — so consider to have been alerted! 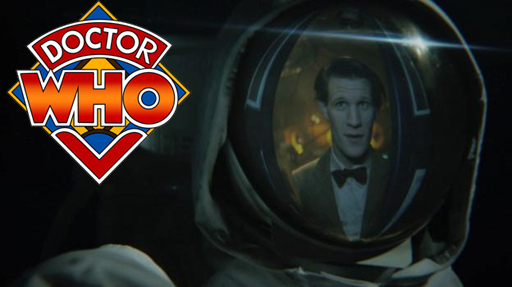 Watch Now: Prequel Teaser Video For ‘Doctor Who’ Series 6! The BBC has just released a prequel video to The Impossible Astronaut, the first episode of Doctor Who Series 6. Kicking off the new series on April 23, The Impossible Astronaut is the first chapter in a two-part adventure set in the United States. In the lead up to the premiere, show runner Steven Moffat has released a short prequel teaser to give fans a taste of what we can expect. You can see the video at the bottom of this post. The first two episodes of Doctor Who Series 6 (or Season 32 if you’re a classic fan!) 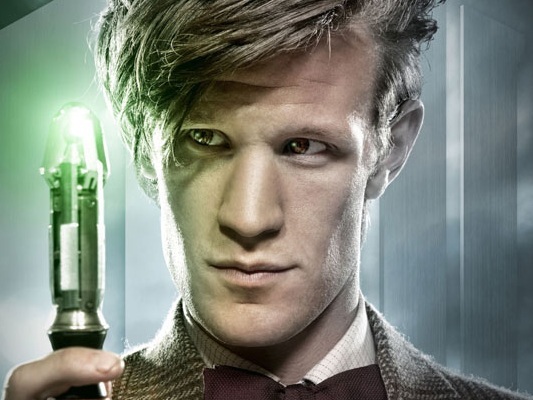 feature the return of Matt Smith and his portrayal of the Eleventh Doctor. 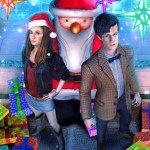 Reprising their roles as his companions are the married couple Amy Pond and Rory Williams, played by Karen Gillan and Arthur Darvill respectively. The enigmatic River Song also appears in these two episodes, played by Alex Kingston, who will be featuring prominently in this series and — according to Moffat — her mysteries and relation to the Doctor will be revealed during the course of the season as well. For those who saw the Doctor Who Christmas Special, entitled A Christmas Carol, if you stuck around for the end credits you would have been treated to the first teaser trailer for Series 6 of Doctor Who… and it’s a ripper. Scroll down to view the trailer. Filming and production is continuing on Series 6, so this teaser trailer includes footage from episodes that are mostly from the first part of the season. Included in the trailer is a great deal of portions from the opening two episodes set in the United States. Doctor Who Series 6 will continue the multi-series story arc of “The Silence,” and more secrets are to be revealed about the mysterious River Song. 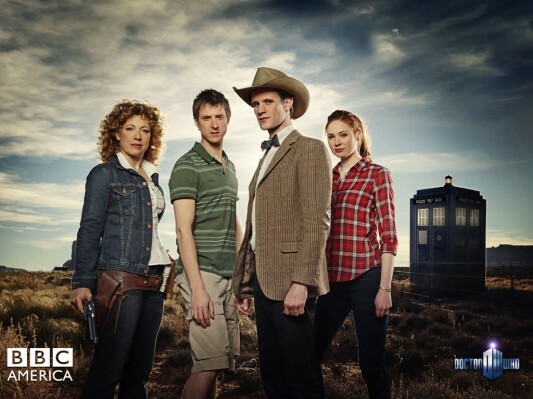 Doctor Who Series 6 is executive produced by showrunner Steven Moffat, and will feature Matt Smith continuing his portrayal of the eleventh Doctor. Karen Gillan and Arthur Darvill are also returning, reprising their roles as Amy Pond and Rory Williams respectively, traveling with the Doctor as his companions. 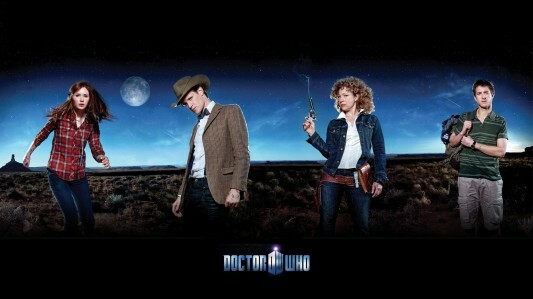 River Song, as mentioned, is also back for Series 6 as portrayed by Alex Kingston.